I've been playing a lot of Solitaire lately. Which probably sounds a little weird, but with my Mac devices not having the program it just hadn't occurred to me to get the app or whatever. But my mom recently visited and I saw it on her phone and was like "Oh, I should download that." Like most people, I used to play Solitaire back on my family's old Dell when I was a kid. It came with the computer and was one of the few games we had, so it got played by all of us at one point or another. There was something addicting about it, like Tetris. We all know the game—basically you're organizing cards over and over in the hopes that you can organize the whole deck. You alternate between black and red. You play it all on your own. It is at once boring and somehow entertaining and also a bit challenging. Because, even though it's a game for one, you can lose. Who are you even losing to? Yourself? Fate? Chance? Funnily enough, as I've been playing I've realized that Solitaire is a lot like writing and publishing. Though it doesn't feel like it sometimes, being an author is really a game you're playing all on your own. 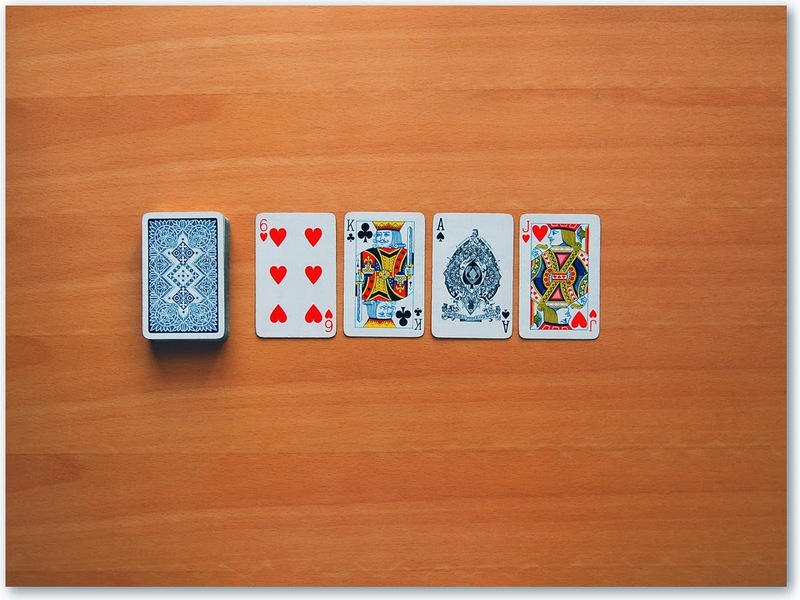 Just like Solitaire. Sure, other people are playing the game, too, but they aren't playing your game of Solitaire. They've been dealt a different order of the same cards, which may or may not end in a win for them. And you've been dealt your own cards—it's up to you to follow the rules and see if you can organize them just right. Writing and Publishing have rules, too, vague ones, at least. But how you get to that end goal is different for everyone…and sometimes a certain deck just isn't going to get you a win no matter how hard you try. Sometimes you just have to shuffle the cards and start over. Hope you get lucky this next time. Maybe all the cards will line up just right next round, or it'll be challenging but ultimately you'll work them into the right order and win. Most people have accepted this fact in Solitaire. When I hit that point where I know I can't win—the freaking ace of hearts is buried under cards I can't move—I accept defeat and start over without much thought. It's just how the game is. I can't change it. Well, writing and publishing are the same. Sometimes no matter what you do, a story isn't going to work and you have to shuffle the deck and start over. Sometimes, you get really, really close to publishing a novel but then that one card is buried and you can't move it. And it doesn't feel fair but that's the game and you have to start over whether you got blocked on card twenty or card fifty. Except it hurts a lot more when we are playing Writing Solitaire, and reshuffling that deck can discourage us. It feels, after we've tried and failed many times to get our publishing cards to line up just right, that it might never happen. But anyone who has played Solitaire knows that eventually your luck will change. Just like you lose against the chances in the deck, sometimes you can win, too. And it's those wins that keep you playing, that keep you thinking, "Okay, just one more game." You just need the courage and determination to keep shuffling the deck. Gah, brilliant analogy. I basically just RT everything you post, lol. I wouldn't have thought of that analogy. I've been on a Solitaire playing binge, and I tried to explain to someone how I could play one game after another. I'm well into a story and between writing and researching, I needed a break to help my mind put the pieces together. Through organizing, shuffling, and moving cards around I'm somehow able to organize the pieces of my story. It works. I don't know how. But playing Solitaire and writing are perfect companions!